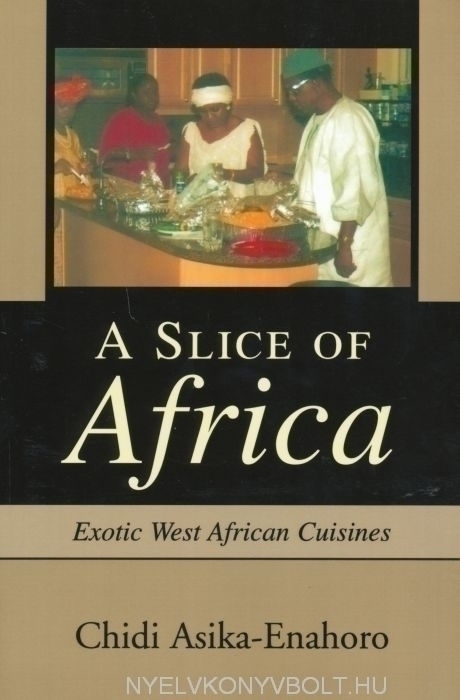 A Slice of Africa presents a wide array of exotic cuisines of the West African descent. It features a cornucopia of tantalizing recipes. The dishes will take you on a journey to the heart of West Africa right in your own kitchen. The recipes are presented in easy to follow formats. Some of the dishes may have a distinctive resemblance to recipes from other parts of the world. Nigerian Cuisines are profiled because they embrace aspects from all African cultures.